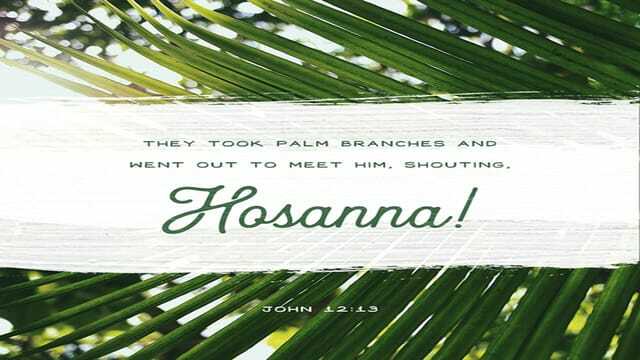 Palm Sunday: You Have Got to See This! The prophet Daniel predicted the very day Jesus, riding on a donkey, would enter into Jerusalem. Fair warning, it's a complicated explanation but you may find it interesting. For more information, google "Daniel predicted Palm Sunday" and/or view some of the YouTube explanations. 1. I’m not really into this. 1. Who in your life fits the description of, 'I'm not really into Jesus'? 2. Why might that be their response? 3. Within that relationship, how can others pray for you? And for them? 2. We have got to do something about this! Why did the Chief Priests want to kill Jesus? 1. What was so threatening about Jesus to the chief priests? 3. Who, in our society, thinks Christianity is a threat? 5. What is our response to folks who feel threatened by Christianity and/or Christians? 3. You have got to see this! 1. What makes you most excited about your faith? 2. What about the church, or a particular faith experience, would you say to someone, "You have got to see this!" 3. Lazarus became a celebrity because Jesus raised him from the dead. Who are some Christian celebrities today? Do they do a good job pointing to Jesus? Are they a good examples of being Christian? Is there a difference? Why or why not? During this season of pastoral transition, clearly determining the path forward is an essential step for StoneBridge Community Church. What’s Next? will be the primary way that church members, regular attenders, and our broader worshipping community contribute to the discernment process. What’s Next? is a corporate discovery process uniquely developed by Pastor Neal that will help formulate our church’s vision and the next steps towards successfully accomplishing it. Pastor Neal encourages everyone to register and participate. The more who participate, the clearer the road forward will be. For your convenience, there will be two sessions of What’s Next? Saturday, April 27, 8:30am – noon OR Saturday, May 4, 8:30am- noon. You’re invited to sign up and register for one. Sign up on the patio during after worship or click below to register online. A $10 registration pays for materials. What’s Next? will be held at The United Methodist Church in Simi (2394 Erringer Rd, Simi Valley, CA 93065). If you're seeking spiritual truths, wondering about the Christian faith, and willing to come with an open mind and a humble heart, The Encounter Weekend has the potential to change the course of your life.It’s two days of testimonies, teaching, reflection, and friendship. Encounter is designed to help you strengthen or enhance your relationship with God and experience the FREEDOM that only comes with the acceptance of God’s unceasing grace. Visit the ministry table after service to register for the Men's or Women's weekend or click below to register online.